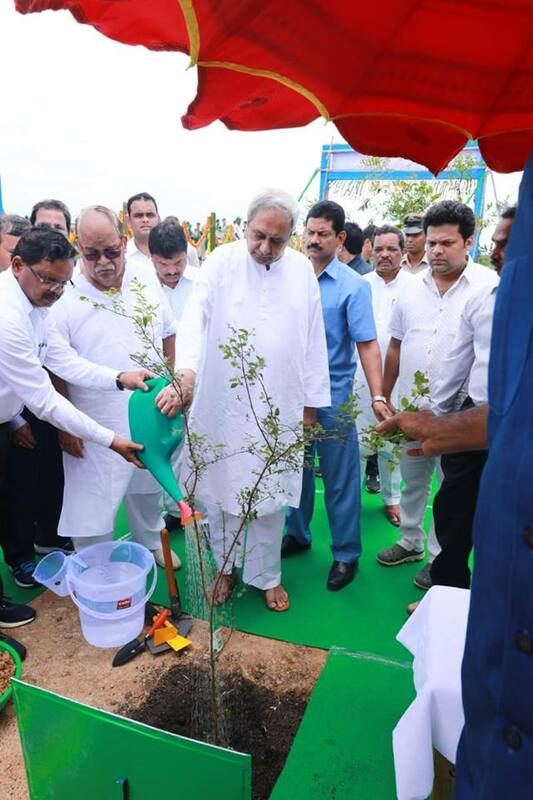 Boudh: Chief Minister Naveen Patnaik on Tuesday inaugurated the ‘Green Mahanadi Mission’, during his visit to western Odisha to review flood situation. This program focused on improving water retaining capacity & its conservation for future generations. The plantation drive will be taken up on both sides of Mahanadi, Ib and Tel rivers to increase ground water recharge capacity. The State Government had kicked off ‘Green Mahanadi Mission’ on the occasion of World Environment Day on June 5. Under the programme, more than 5 crore saplings would be planted over 41,000 hectares of land on both sides of major rivers of the State and 5,000 km of roadside within five years at an expenditure of around Rs 5,000 crore. Plantation within a one-km radius of the riverbanks on both sides would primarily include fruit-bearing trees like mango, jackfruit, jamun, etc., which would have multiple benefits such as groundwater harvesting, preventing soil erosion along the banks and ensuring income and livelihood opportunities for the local communities.